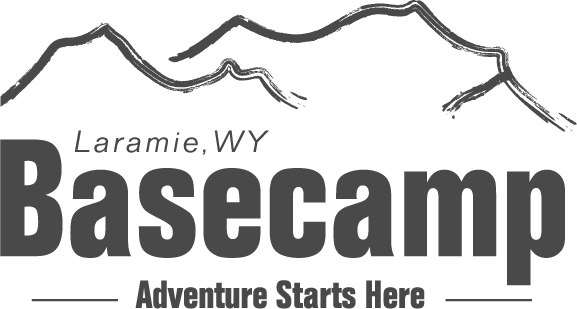 For those of you who may have boycotted social media over Spring Break....Laramie's Basecamp now carries a selection of trail running, hiking, approach, and climbing shoes!!! Wet, sweaty, cramped feet are no fun. Your tootsies deserve time well spent undergoing the same level of product research you would for a new jacket, backpack, or car for that matter. We have comfy Darn Tough socks ready to caress your feet as you try on all our shoes! Come on down and talk to us about your feet and footwear, it's not weird, we promise. TOPO: Currently our selection includes the MT-2, ST-2 and the Runventure 2. Topo, a very young company, has surprised the sneaker industry by creating one of the best overall fitting sneaker. The toe boxes in all of their shoes offer ample space to keep your toes comfortable while providing sufficient support and snugness in the heel and mid-foot. Many reviewers agree Topo fits true to size. Topo shoes are also Vegan! -"Zero Drop" between the heel and toe box allows for a more natural feel in the shoe. -Clips to attach gaiters for muddy, debris filled trails. -No rockplate. Mid-sole injected with EVA foam for more flexibility and ground feel. -3 mm of drop from heel to toe. 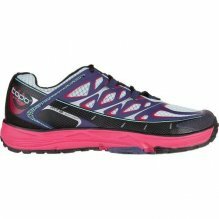 -3 oz lighter than Runventure 2; great for longer runs. 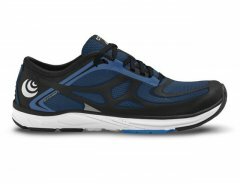 -Zero drop from heel to toe; encourages natural running and movement patterns. -Packs down flat, great for travel. -Lightweight and versatile; you can take it from the road to the gym. 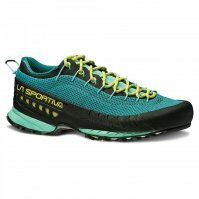 LA SPORTIVA: At Basecamp you can find the following: Blade GTX hiking boots, TX-3 approach shoes, Mutant and Lycan mountain runners, and the Folkon for the kiddos on the trails. La Sportiva, made in Italy, has been crushing the climbing shoe market but they are also known for footwear that excels in any technical sport. 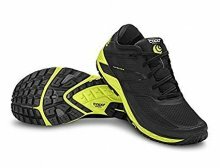 Features include FriXion XF climbing rubber on the soles of approach and running shoes, the use of Vibram soles, and a lot of innovation and accuracy in each shoe's design. 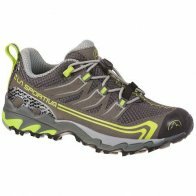 -A hefty mountain runner for technical terrain. -Spyral Tongue that wraps the foot and secures it under the Fusion Gate lacing system (for almost perfect fit!). -10 mm of drop between heel and toe. -High heel collar to protect from debris on the trail. -No rockplate (injected with EVA molded foam)- same protection but lighter in weight. 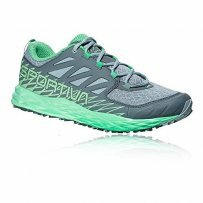 -A less aggressive trail runner (dirt roads, gravel, light technical terrain). -Ability to cinch laces tight so you can achieve a more perfect fit. -Mid-sole injected with EVA foam paired with Ortholite mountain footbed for shock absorption. -Gore-Tex!!!! These boots are waterproof and breathable! -Comes with 5mm Ortholite insole. -FriXion AT 2.0 gives you uphill traction while the Impact Break System ensures your grip downhill. -Fits snug like an athletic shoe but performs like and hiking boot. -Could be used for mountain running but much heavier than our other options. -With heavy socks a good option for light, winter activities. More of a three season boot. -Comfortable and supportive so kid's can wear them for long periods of time. -FriXion AT 2.0 and Impact Break System-they perform like the Blade GTX boot. -Ankle height for protection from trail debris. -Laces with a pull tab for easy on and off. -The perfect shoe for any climbing approach, or around town wear. -Mesh upper allows for breathability and comfort in rugged terrain. -A "climbing zone" on the toe using Vibram Mega-Grip rubber and a "Trail Bite" heel platform- Maximum grip!!!! -Wide fore-foot fit for all day comfort. Check out our next blog post on Climbing shoes and some of the Staff's favorite crag picks!! !